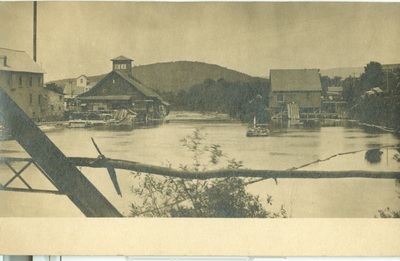 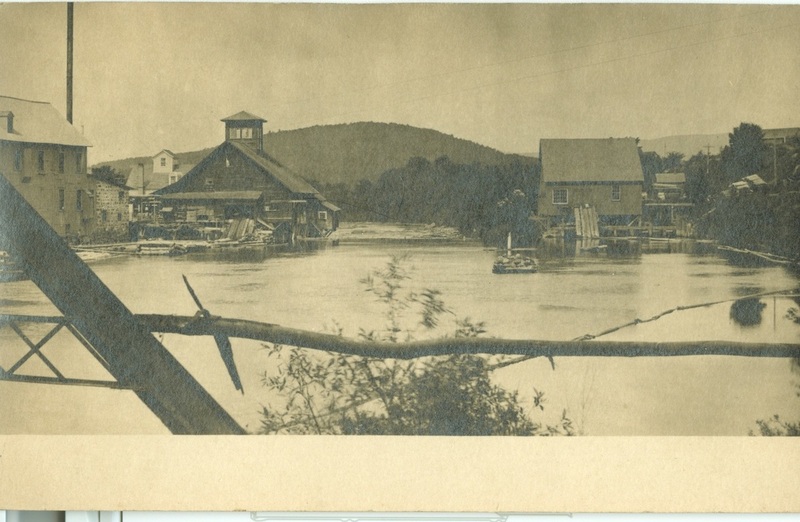 The Grist Mill, located on River Street overlooking the Schroon River, was built in 1824 by Dudley Farlin on a foundation of a former mill that dated to 1806 built by Dr. Harmon Hoffman. 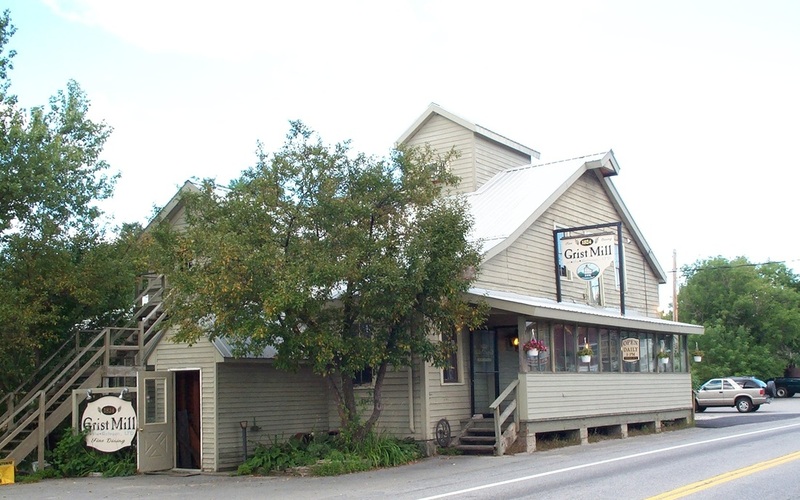 Farlin sold it the next year to Nelson J. Warren. 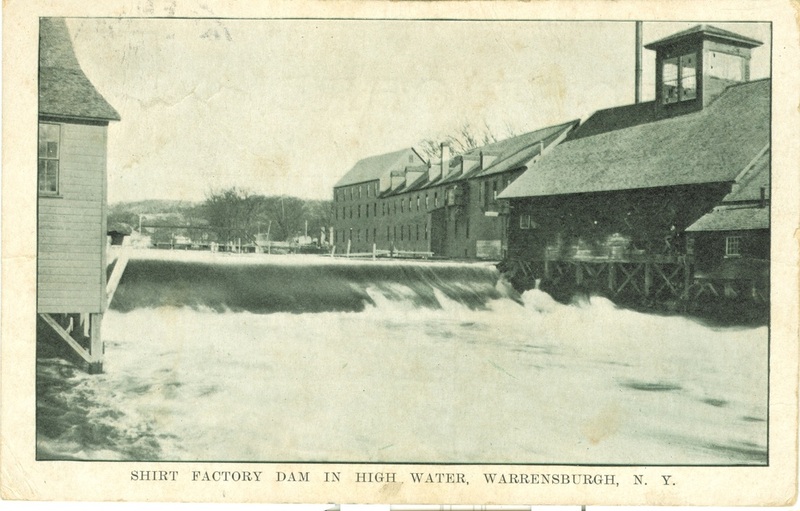 After running it for a number of years, Warren sold it to William B. Farlin in 1845. In 1846, it was sold to Burhans & Gray. 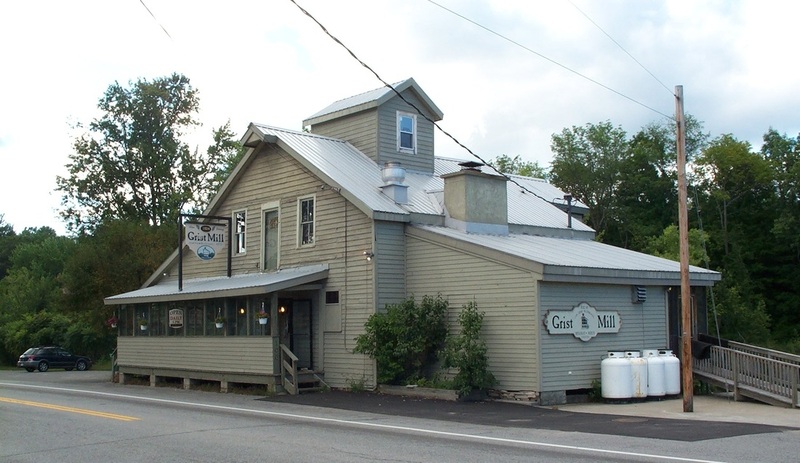 Burhans bought out Gray in 1860 and added another "run" of stone, making the mill capable of grinding 15 tons of grain in a 12-hour day. In 1886, the heirs of B. P. Burhans sold the business to Thomas J. Smith. 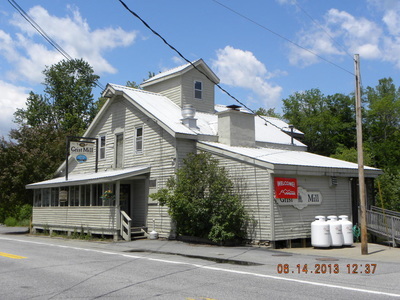 In 1892, 209,000 bushels of grain were sold. Taken over by Thomas' son Frank, in 1921, it was sold in 1927 to D. E. Pasco & Sons, who operated it until it was shut down in the mid 1960s. 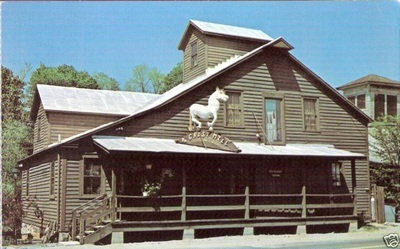 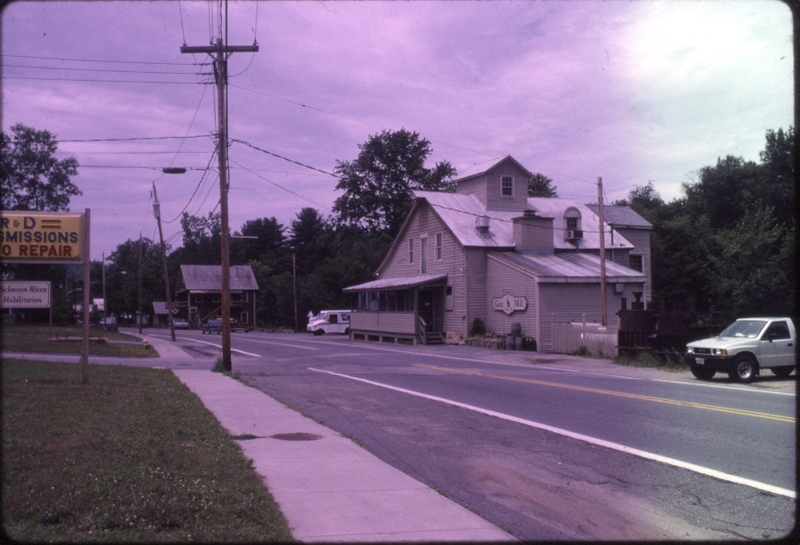 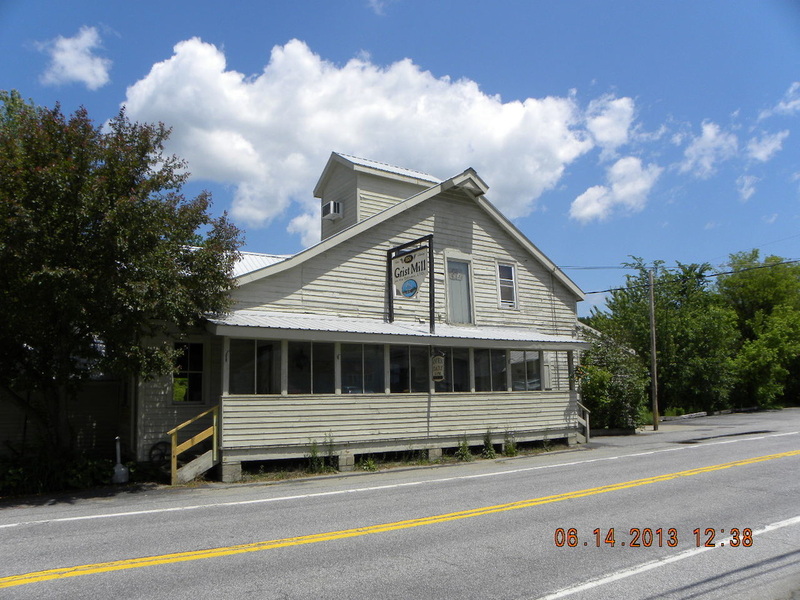 In 1976, it was purchased by Nancy Fitler, who turned the mill into a restaurant. The structure and much of the machinery was kept intact. 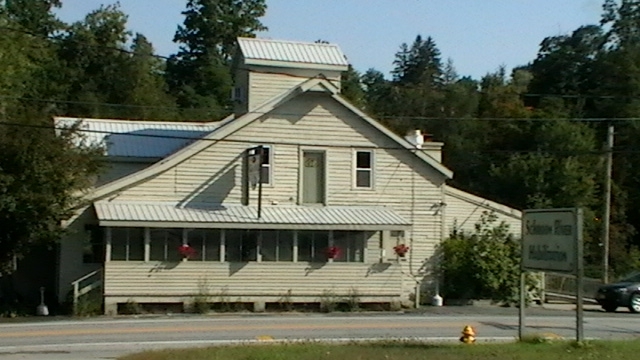 Later owners, Shane Newell and David Eastwood doubled the capacity of the dining room, with large windows overlooking the river. 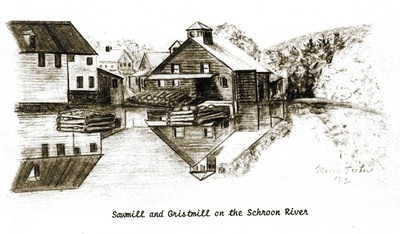 They added visual displays depicting the history of the milling process, and in 1995 added an outdoor dining deck off the tavern at the lower level. In 1999 Harvey Lambeth and his son, chef Christopher Lambeth purchased the restaurant and as of this writing continue its operation.